Fair Finance wins the UK Angel Investment Award! Social business Fair Finance is pleased to announce that on July 6th at the UK Business Angels Association annual UK Angel Investment Awards 2017, Fair Finance won the award for the Best Social Impact Investment in 2017. Fair Finance is a financial inclusion social business that has developed microfinance models to make personal loans, business loans and give advice to some of the most excluded in the UK. Primarily focused in London and south east it realised that demand for it business loans services were national. Fair Finance worked with ClearlySo as corporate advisors to raise a round of social investment to help scale our highly successful local approach to microfinance for small businesses into becoming a national provider. 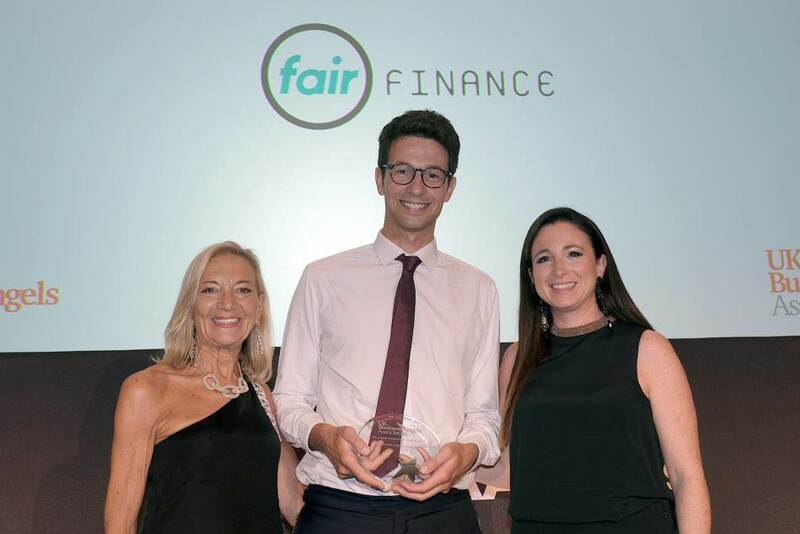 The judges said: "Fair Finance has shown strong innovation in bringing new models and approaches to enable financially excluded people to access finance at fair and affordable rates, having successfully used investment to scale the business and achieve national reach." The funding round helped Fair Finance develop robust internal systems and build capacity to manage increased demand for its Fair Business Loans service. This allowed it to move from a local base in London to begin lending in Scotland, Wales and Northern Ireland becoming a truly a national player. The investment helped to unlock additional lending capital from UniCredit Bank which has helped facilitate the growth of the service by 86% in the last 12 months. Fair Business Loans, has now lent more than £2m to over 200 local businesses across the country struggling to access finance, and supported more than 3,000 entrepreneurs with advice and guidance.